Established in 1988, JOINLUCK has become a leading manufacturer of energy efficient lighting products. JOINLUCK has two product lines: compact fluorescent lamps and LED lighting products. At present,we are capable of manufacturing 25 million pieces of compact fluorescent lamps and 20 million pieces of LED lighting products annually. The JOINLUCK family of lighting products have obtained UL、CUL、FCC、CE、RoHS and Energy Star certifications, and are exported to USA, Canada, Australia Europe and South America. JOINLUCK maintains stringent quality control throughout its manufacturing process and possesses advanced testing and measuring instruments, which ensures the stability and consistency of its product quality. ☆ Quality system based on ISO 9001 standard. 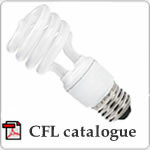 ☆ All the necessary product certifications: UL、 CUL 、FCC、CE、RoHS and Energy Star. ☆ Use of materials of leading brands to ensure long life. ☆ More control over quality 、cost and delivery resulting from our vertically integrated production. 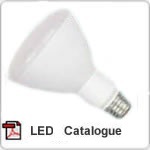 ☆ A major OEM supplier to the world s leading lighting product manufacturers and distributors. ☆ A talented experienced and dedicated workforce.